Details Flower Software is a cloud-based business management software for florists and designers to organize events, inspire clients and connect with suppliers using a range of features including an events calendar, custom contracts and collaboration tools, plus invoicing and payments, e-signatures, color story design tools, and more. As a cloud-based solution, Details Flower Software gives users the flexibility to manage their florist business anytime, anywhere, via any internet-enabled device. A proposal editing tool enables users to create professional, printable contracts, while customizable templates allow users to design event plans simply and creatively online. With the color story and palette design tool, users can upload images or enter a Pantone color to automatically see recommended shades and complementary colour options. Users can save favorite flowers and inspirations to the event design board for quick reference. The flower resource guide helps users manage their budget by providing information such as which flowers are in season and giving live pricing information from wholesalers and growers. The event calendar allows users to manage schedules to stay on top of deposits and deliveries. Users can sync their Details Flower Software account with their bank account in order to collect payments, with Stripe integration for credit and debit card processing. E-signature functionality helps users capture dates and time stamps on contracts. Users also have access to online courses designed to help them learn how to use Details Flower Software effectively. Other Details Flower Software features include client pipeline, notations and tasks management, tables and seating calculator, multiple user options and user tracking, a projected expenses and budget calculator, executive documents for recipe coordination, delivery, and summary, and more. Customer support is stellar and everyone is always so friendly and helpful. They have to be rolling their eyes when I call because I feel like I call all the time but they never make you feel like you have a dumb question or you're wasting their time. If they don't have an answer, which is rare, they will get you one within a day. I love the overall beauty of the finished proposal and my brides love it too. I love not having to do math in my head anymore, on the fly, with a bride sitting next to me and the pressures on. I can work on the proposals on my time and the software tallies as I go. This keeps my profits up and I can set my prices higher if I'm not sure what I will be charged by my suppliers. It takes the guess work out of everything! There really is no need to meet in person anymore unless the brides choose to. I love the overall beauty of the finished proposal and my brides love it too. I love not having to do math in my head anymore, on the fly, with a bride sitting next to me and the pressures on. I can work on the proposals on my time and the software tallies as I go. This keeps my profits up and I can set my prices higher if I'm not sure what I will be charged by my suppliers. It takes the guess work out of everything! There really is no need to meet in person anymore unless the brides choose to. One update I don't like at all is having to save all the time. This never used to be. It gets old and takes time. If you don't save you lose your changes and you can't leave a page without a save. The software is prompting you to save, even after a save, just when you want to go to another page. This is something they really need to fix. Also no customer support on weekends. I'm busy working 7 days a week so to be down for 2 and a half days is annoying sometimes. Thank you for taking the time for the review and we appreciate your feedback. First, we love that your clients and brides love the finished look of the proposal. We know how important presentation is for an event designer, and take the utmost care to make sure you are always looking your best. We also know how tedious it can be to do "math in your head" and we also love how the software tallies as you go. Such a lifesaver. To address your request about the Save button, we are working to resolve this new addition. As you know, sometime things take refining before they are perfect, and this update gets us one step closer to a more uniform system. Changing user behavior can be a challenge for us too! Good things coming. As you know, we do our best to answer all requests in a timely manner, and typically, you don't have to wait too long. Definitely something we will add in the next few months, extended evening customer support! I think I covered most of this above, but to wrap it up, by using Details, it has allowed me to use my time more wisely. As a business owner, you wear many hats. I think that Details is a great asset to my company and plan to use it for many years to come. My Favorite things about Details list: TIME MANAGEMENT- For 17 years, I used an excel spreadsheet to develop each quote. I was not efficient, and quite time consuming. Details software allows you to create a "recipe" by simply dragging and dropping the stems that you would like in each recipe. It's not only great for building the visual quote but you have the capability of pricing each individual stem, so once the recipe is done, your cost and retail price has already been calculated and entered into the stem counter document. It is simply revolutionary. It has saved me many hours through the years that I have been using this program. Costs Awareness- As I mentioned above, each stem is already priced by you. So once the recipe has been put together, it not only shows you what your cost is, but in a separate column, it shows you what you should be charging based on your mark up. This has FORCED me to see how I was unvalueing my work FOR YEARS. I showed a 12.5% increase in profits in my first year of using DETAILS. That is a HUGE amount of my blood, sweat, and tears that I was simply giving away without even realizing. Increased sales- This one is very simple. I am constantly being told by my brides that they were so impressed with the professional, detailed quote that they received from me. It makes them feel more confident with my quotes over my fellow competitors that are still doing hand written quotes with no images, and very little detail. My Favorite things about Details list: TIME MANAGEMENT- For 17 years, I used an excel spreadsheet to develop each quote. I was not efficient, and quite time consuming. Details software allows you to create a "recipe" by simply dragging and dropping the stems that you would like in each recipe. It's not only great for building the visual quote but you have the capability of pricing each individual stem, so once the recipe is done, your cost and retail price has already been calculated and entered into the stem counter document. It is simply revolutionary. It has saved me many hours through the years that I have been using this program. Costs Awareness- As I mentioned above, each stem is already priced by you. So once the recipe has been put together, it not only shows you what your cost is, but in a separate column, it shows you what you should be charging based on your mark up. This has FORCED me to see how I was unvalueing my work FOR YEARS. I showed a 12.5% increase in profits in my first year of using DETAILS. That is a HUGE amount of my blood, sweat, and tears that I was simply giving away without even realizing. Increased sales- This one is very simple. I am constantly being told by my brides that they were so impressed with the professional, detailed quote that they received from me. It makes them feel more confident with my quotes over my fellow competitors that are still doing hand written quotes with no images, and very little detail. I have been with Details for approx 3.5 years. I started with them in the beginning and have gone through many painful updates, but I would do it all over again because then end result has seriously IMPROVED THE QUALITY OF MY LIFE! I have been a wedding floral designer for 21 years and this has been wonderful. They have integrated so many functions into this program that I love. 1. You can request quotes directly through the program 2. Stem Counter 3. Presentation 4. Costs Page is wonderful to see where you are at budget wise. Thank you so much for your wonderful review of our software. I can remember when you started with us-- and we were just getting off the ground. It's probably FUN to see the dramatic changes that have taken place since you began! We have always loved the visual components of the software, and we are glad that it is enhancing the sales experience for your clients. The Cost Awareness is also so amazing. We never want you to undervalue your work-- and with Details-- you won't ever do that again!! We know that brides are impressed with the professional, detailed quote. We are so happy that they are confident with your pricing. Thank you for being a valued Details customer for 3.5 years. We are so happy that you are using your time more wisely-- and focusing on the things that need your attention most-- your clients!! Details Has Saved Me So Much Time!!! I really am saving more time that ever and I am much more confident when sending out my proposals. Before Details I was often worried that I was leaving out a page, or a cost sheet. With this software everything is always there! I also love having the ability to have clients sign their contracts and pay online, avoiding the "check is in the mail" excuse. Using this software has saved me so much time, and the more that I use it the more time I am able to save since my past "floral recipes" are saved for future use. The software produces gorgeous imagery, that makes selling our products and designs easy! Using this software has saved me so much time, and the more that I use it the more time I am able to save since my past "floral recipes" are saved for future use. The software produces gorgeous imagery, that makes selling our products and designs easy! From time to time there are a few tech issues to work out (mainly during "updates"), but to be honest this is the way all businesses seem to operate in today's marketplace. The time saved and the beautiful estimates that you are able to produce make the few tech issues easily tolerated. I'd rather work with software that occasionally updates and attempts to make things easier for their users then one who doesn't try at all. We are so glad to have your testimonial and feedback for using our software over the last few years. It was designed to save you time, and the longer you use it, the more time it will definitely save you. Past floral recipes are a dream! We love that you can save your beautiful imagery into the software to reference later. Our newest functionality of saving entire events, will make future jobs come together in a snap. Like MAGIC!! We appreciate that you understand that although we do try to make it absolutely perfect, from time to time we encounter a few hiccups. Hopefully, you see that we remedy them quickly and do our best to make improvements quickly and as needed. It's all part of the process to perfection. We love that you are more confident in your pricing and accuracy. It definitely is helpful to have a place to refer too. Everything is always there. Thank you for business a valued customer! This has made all the difference! We used to do our wedding quotes in a word document and create an order in an excel spreadsheet. I had been referred to Details for a few months but kept balking at changing how we did things until I talked to Customer support! I can not explain how much this program has changed how we do things. Quotes used to take me hours to craft which now only take a half and hour and they look even better than I could imagine. Ordering couldn't be easier, its essentially two to three clicks on my computer and the order is sent directly to my wholesaler. I never have to worry about accidentally leaving an item off of an order again. Details even keeps track of our rental inventory and allows me to see how many of a container or decor item we need each weekend. To be completely frank, Details is so easy to use that I whipped up 2 wedding quotes less than 4 hours after my youngest son was born, while I was still in the hospital! Its so easy to use, its beautiful (Brides are always telling me how pretty their quotes are), they are constantly evolving to better serve their clients. 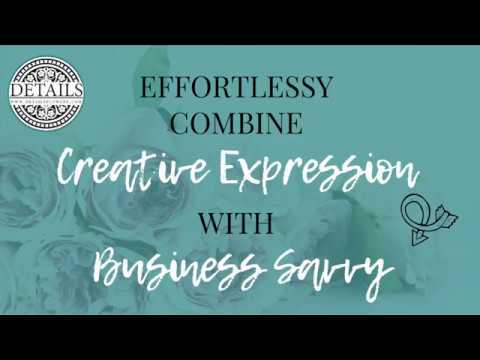 Its so easy to use, its beautiful (Brides are always telling me how pretty their quotes are), they are constantly evolving to better serve their clients. I was scared of change at first and it takes some practice to get used to creating the right quote for your client but once you get the hang of it it couldn't be any easier. We are so glad that you overcame your fear to get started and jumped into Details full force. You are now a DETAILS expert! Our goal at Details is to make it functional and pretty! We love that Brides are always complimenting your proposals. Best compliment to us! We love that you are using the advanced feature of sending orders directly to your wholesalers! It is one of the features that we find SO valuable, and love that you have adopted it into your processes. Perhaps the best testimonial is that you were using Details from your hospital bed after giving birth to your baby! We love that! Details is on-the-go with you nearly everywhere. Well, EVERYWHERE!! A software has definitely helped improve my overage cost for supplies and perishables as well as under selling myselfI absolutely love that the software I was able to streamline my business in so many ways. The stem counter is priceless and helps me save so much money when I order flowers. I love being able to see average cost of each stem it helps me price designs accurately maximizing my profit. The invoicing feature makes everything so convenient and easy for my clients to make payments. I can't wait to see all the future features they will be implementing over the next few months and looking forward to being able to sync my calendar with my booked events. I absolutely love that the software I was able to streamline my business in so many ways. The stem counter is priceless and helps me save so much money when I order flowers. I love being able to see average cost of each stem it helps me price designs accurately maximizing my profit. The invoicing feature makes everything so convenient and easy for my clients to make payments. I can't wait to see all the future features they will be implementing over the next few months and looking forward to being able to sync my calendar with my booked events. The cost has significantly increased since I started using the software when it was first released. We love that you proclaim Details as a "Game Changer" for your business! We know that you have been with us for quite awhile, so you've definitely seen some of the changes and goals that we've had for the software. We love that you are finding so many priceless and valuable features. Pricing is definitely our strong point, so we are so happy that you are finding the benefits and streamlining your workflows. Although we strive to maintain fair pricing, we have not increased pricing for our actual clients. Some of our earliest adopters still have their initial rates. We definitely recommend locking in your annual rate. Our goal is to keep pricing at a minimum, but as we all know, development and storage are costly features. We appreciate your feedback, and look forward to working with you over the years to come. Thank you for your review! Details pricing starts from $125/month for 2 florist users. Details Flower Software offers a cloud-based solution which enables users to manage events anytime, anywhere, from any computer, phone or tablet device. Users can manage schedules and track important dates relating to deposits, deliveries and other milestones from the events calendar. The flower resource guide helps keep users on budget by displaying live pricing from associated wholesalers and growers, as well as showing information such as which flowers are in season and when. Details Flower Software enables users to create and send invoices, then collect payments securely via Stripe. Users have access to four online courses designed to help users learn how to use Details Flower Software most effectively. Below are some frequently asked questions for Details Flowers Software. Q. What type of pricing plans does Details Flowers Software offer? Q. Who are the typical users of Details Flowers Software? Q. What languages does Details Flowers Software support? Q. Does Details Flowers Software support mobile devices? Q. Does Details Flowers Software offer an API? No, Details Flowers Software does not have an API available. Q. What other apps does Details Flowers Software integrate with? Q. What level of support does Details Flowers Software offer?